Stephanie really reflects herself so well in blogging, she is down to earth and holds in her readers when she writes. I remember first looking over at her blog and how amazing her jelly bean animated header was! 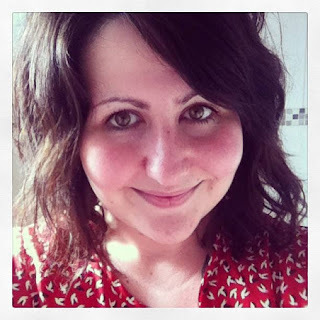 She blogs about a selection of things, lifestyle posts, fashion and wonderful beauty hauls! It's been a pleasure to hear a bit more about Stephanie and her blog by interviewing her; Enjoy! My real inspiration was from seeing my other friends from around the internet popping up with theirs and they were cleverly designed and it was somewhere to document what you'd been up to, things you'd bought that were good/things to avoid and people would actually listen(read)!. I enjoy being honest about things. If I don't like something, I will say why. I'll even tweet about the recent blog post and probably tag the companies in of products that I've used. That way I'd like to hope that my voice would be heard. I also like that if I'm thinking of buying something new then I have a search about on various blogs and get the general jist of how it works/if it's good and the price range. I think my proudest moment was when I first posted about my weight loss, which included some less than flattering photographs. I needed to get it out there, in order for me to acknowledge that's how I look and to move on and get myself better and fitter. It did take me a while to press that post button. In the future I'm looking to move house, and at that point I will be buying a proper camera with a tripod and doing outfit posts as I love buying clothes, moreso than make-up. At the moment I haven't got any space, nor camera, nor privacy to pose as much as I like so it's all a waiting game. I would say find yourself a niche, don't blog about the obvious stuff. You can find 10 to the dozen reviews on a number of blogs all for the same foundation/lipstick/eyeshadow. You get sick of reading all the repetition, well I know I do! Also, if you're going to use a product and then review it after, why not do a before and after style post, I love reading them. For example you might buy some shampoo that claims to de-frizz. It's all well and good saying 'Yea it works and it's great'. I want to SEE how well it works. I'd say I do love doing the adventuring updates, although I don't do those too often and I haven't got a lot of free time away from work. I really love pining over clothes so blogging about loads of pretty clothes makes me feel better, also keeps the links to the clothes fresh in my mind as I always source my finds. At the moment it's my Alberto Balsam green apple/mandarin shampoo and conditioner. I love fruity smelling hair care, and it's the type of product that you can still smell at the end of the day. It's lush! I really swear by the Clearasil face wipe pads, I don't have spots per say but recently with the hot weather my face has been oilier than usual. These wipes are alcoholly so make my skin feel lovely after using. And finally, I alway carry a Soap and glory spritzer in my bag. I love the smell and it's easy enough to just splash on whenever I feel like it. It's all girly and that's quite unlike me. I love it. Haha! Loved this post! It sounds amazing!